Dr. Jelks is a certified Expert Injector and performs all of his own injections to ensure the best result for each of his patients. To learn more about how injectables or fillers might work for your personal needs, feel free to contact us. Sick of deep lines on your face? 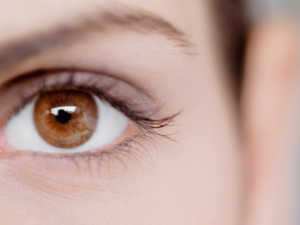 Wishing you could get a quick fix for the signs of aging around your mouth and eyes? You may think that Botox is your only option, but in fact there are other injectable cosmetics that plastic surgeons use to treat some lines on the face. That’s why it’s important for individuals to understand the difference between injectables like Botox and facial fillers, like Juvederm. According to the American Society of Aesthetic Plastic Surgeons (ASAPS), Botox is a neuromuscular toxin, and while it is the most widely recognized brand name for this type of cosmetic, there are other variations that have FDA approval, namely, Dysport and Xeomin. The injectable medicine is used to treat “active” facial lines, meaning those that have only recently formed. A board-certified plastic surgeon will inject the cosmetic into facial areas that are associated with the formation of wrinkles. For example, the muscles you use to frown may be responsible for lines around the mouth, so a plastic surgeon can use Botox to artistically alter facial expressions. This won’t result in a loss of the ability to show emotions on the face – the intention is to make subtle changes that will stop lines from forming while promoting a natural appearance. Dermal fillers, on the other hand, are used to treat “firmly established wrinkles,” reports ASAPS. There are many variations of soft tissue fillers available, so ask your board-certified surgeon for a recommendation. In addition to treating deep wrinkles, these cosmetics can alter the appearance of soft tissue – for example, they may be injected into the lips to make one’s pout appear fuller. 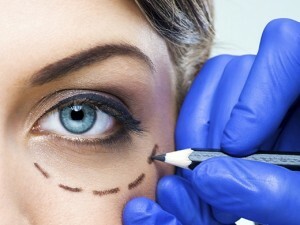 A plastic surgeon is the best person to help you decide between these two types of skin treatments. Having a thorough consultation with a board-certified plastic surgeon before you agree to an injection can help you pick the best option for your personal desires.